Some of the most common questions I get from my clients are related to how to create new users in an Exchange Hybrid environment. I have seen users set up in an incorrect way in most Hybrid Environments. Some common problems resulting from this include missing Autodiscover functionality or bouncing emails from external users. The reason for these kind of problems is that your on-premises Exchange server doesn’t recognize the Exchange Online mailbox. 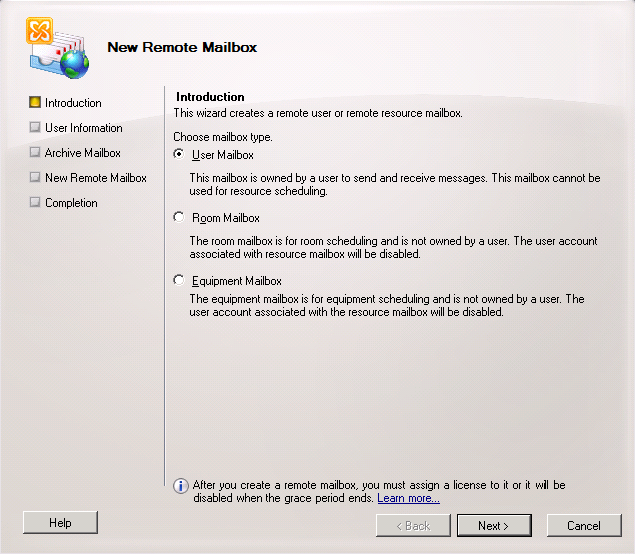 The best way of creating new users during the Hybrid is to use the New Remote Mailbox guide in Exchange Management Console (this can of course also be done in an on-premises Exchange 2013 server, the principle is the same). This will create both the AD account, and populate all necessary attributes for Office 365. It will also enable you to continue using Exchange Management Console for managing all Exchange attributes. 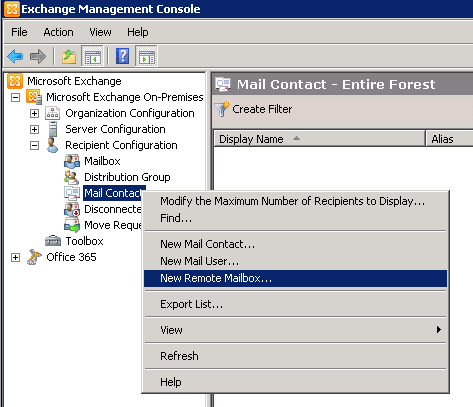 The key is to use the Mail Contact pane in Exchange Management Console. 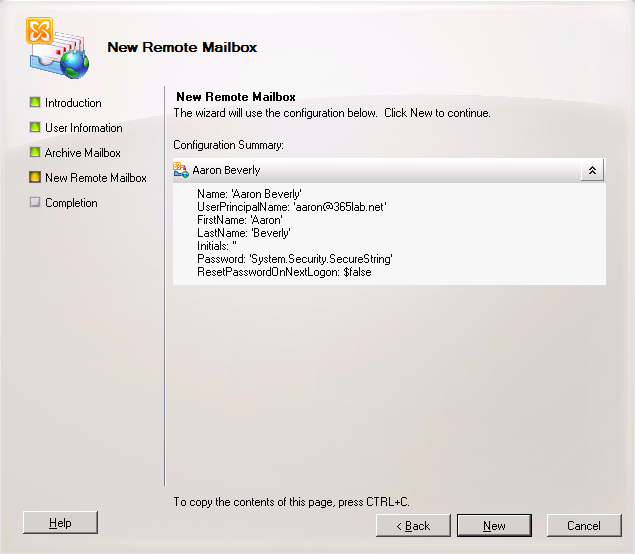 Start by right-clicking and select the New Remote Mailbox guide. 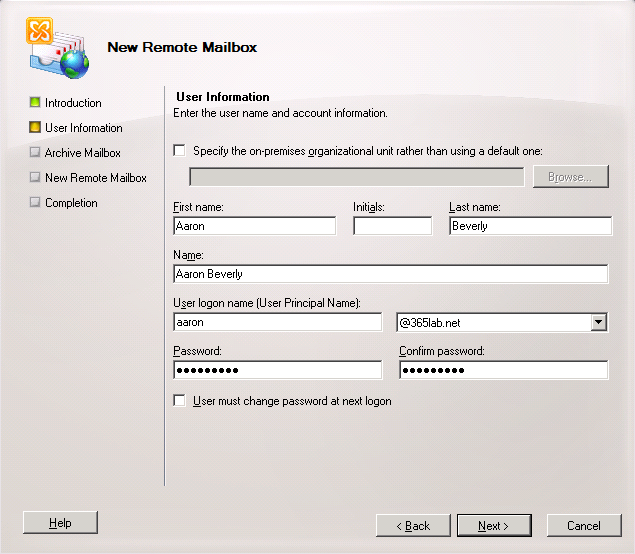 Select the type of mailbox you are creating, normally a User Mailbox. Fill in all the information that you would normally fill in when creating a new AD user. 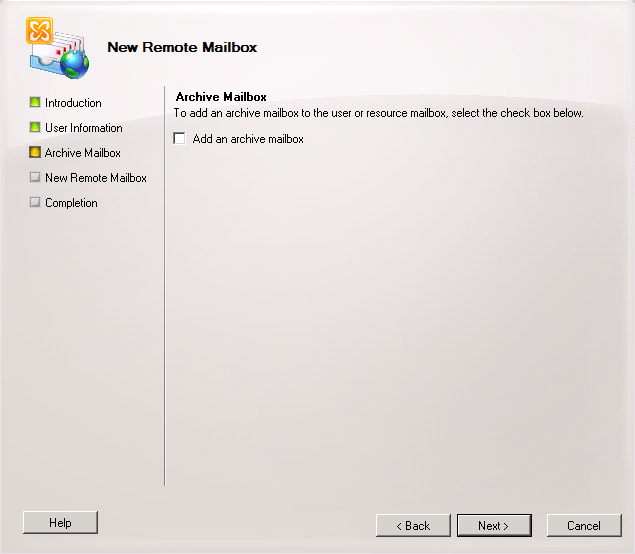 If you are not using Archive Mailboxes just click Next. Review the summary and click New. All done! Close the guide by clicking Finish. If we right-click on our new user and check the Email Addresses tab, we will see that it is already populated with all addresses according to our E-mail Address Policy. 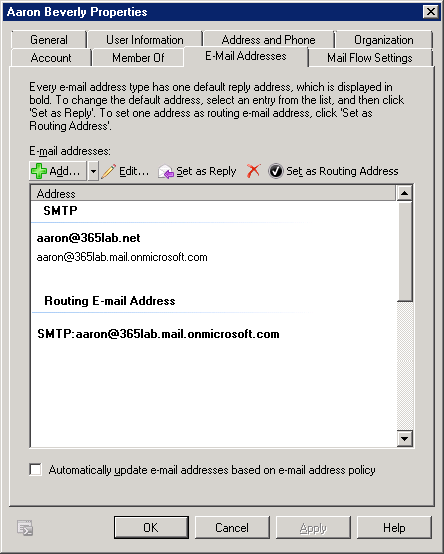 We even have a Routing E-mail Address set, pointing to our Office 365 tenant. This means that we are all set, our on-premises Exchange server is now aware of the Mailbox in Office 365! The final step is to wait for DirSync (or force a sync) then assign a license to the user. This entry was posted in Exchange Online and tagged autodiscover, create user, hybrid, ndr on December 16, 2014 by Andreas Lindahl.